Today a book review with a difference. I wanted a book to inspire me, to lift me through strife n stress and perhaps help me to view the world in a different, less negative way. A book to inspire me to create art and heal my heart. This one is working. Each day there is a ‘word for the day’ It has an accompanying poem and explanation along with an ideogram a nice calligraphic touch. Love the short nature of each page, but there is plenty to contemplate by the words and meanings inferred in each entry. Available in Kindle or Paperback so you can choose your format. Not really a con, just be aware that if at first you don’t understand the explanation, re read the page a few times during the day. It can feel like a chat with Yoda (No offence meant) and you can be left thinking ‘Whats that about’; but when you mull it over more it sinks in better. Its rather nice that you can take your own inference to what is being said rather than being ‘told’ to do or think a particular way so I very much enjoyed this book. Yes, I’m finding the print a little small and fine for my dyslexia and I can see me buying this on the Kindle format as well. Highly recommend this book, it is everything I hoped it would be and more. If you are struggling with the modern world, sometimes what you need is not to run harder and faster but to stop and listen. Make a cup of tea etc sit down quietly and read a page a day. If you are stressed out, searching but you know not what for, then this book is for you. I can see this book inspiring art work in the future but for right now I’m enjoying the peace each page is bringing by allowing me to find a different meaning to day to day feelings and circumstances. De-stress and inspire a new way to look at the world with this book. Do you Doodle? Or wish you did? 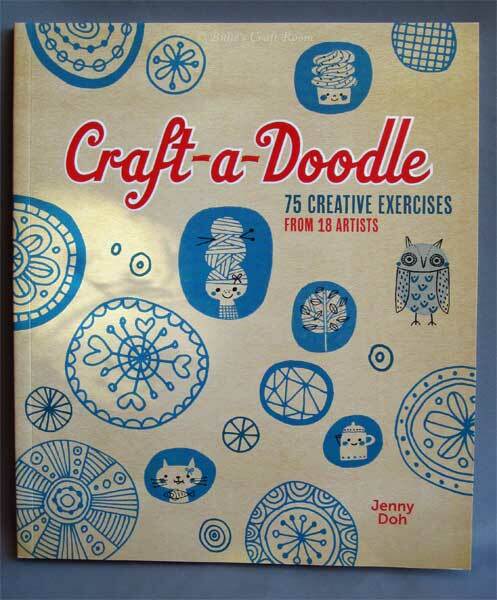 In today’s post I will be reviewing; Craft-a-Doodle by Jenny Doh. 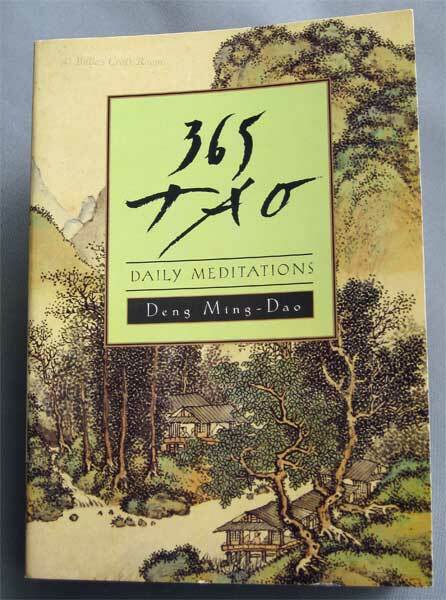 If the winter blues are getting you down, or your life stresses you out, you need this book. Growing up I used to doodle quite a lot, but gave it up for no particular reason. Lately Doodling has become the latest craze and since I used to love it so much, I wanted to see what other artists doodle. Most of the text is NOT on patterned or textured background, some is in red ink but not too much and some is on coloured panels but the background isn’t mottled so that helps. You know when you were a kid and saw someone drawing something cool, if you were lucky they would teach you how to do it, then you went off and made it your own.. This book is like that. I like that there are different styles in the book, I didn’t love them all but found lots that I did. I like that there are lists of websites in the book so if you fall in love with a style you can visit the artists site and find out more. You don’t need much to doodle, if you have a sheet of printer paper and a biro you can doodle. Just bring an open mind and your favorite brew and this book will inspire you to get back to doodling and all the fun and relaxation that it brings. You can get pretty with it with coloured pens and pencils or paints of your choice if you like, but whatever you do, its a lot of fun and will bring a smile to your face. Who doesn’t need that from time to time? Having enjoyed Alison’s Sewing Book, I wanted to learn more about dressmaking and had heard there were also patterns in the back of this book. I was delighted when DH gave me this for Christmas and want to share with you how I got on with the book. I went for the full size version of the book and it gives nice size print in this format. The fabric section is brilliant, it lists a range of materials the pros and cons of each them, gives you tips for cutting out, what type of seams work best, what thread to sew the fabric with. Needle size for your machine, pressing advice and common garments its used on. Ideal if you are looking to use a fabric for the first time and want to know if it would be suitable for the project you have in mind. The pattern reading section helps you understand the information printed on the backs of patterns, all those symbols on the patterns themselves and how to measure your body to choose the correct size garment to create. Read this BEFORE you buy your commercial patterns as pattern sizes are different to shop bought clothes. There is a superb selection of classic garments for you to make at the back of the book, once you have made these you could customise the pattern to your own taste so there is plenty of scope for a whole wardrobe. I like the fact that the book walks you through what to do with each garment in step by step form, if a technique has been explained elsewhere in the book, it tells you which page to find that technique. Just a niggle but Making a toile section which tells you what to do if your test garment (tiole) is too big or too small, would have been better placed before the pattern alterations, instead of after them. I skimmed through the alterations thinking – ‘That’s great but how would you know what alteration you needed?’ Only to find the information on the toile page at the end of the section?! One thing to bear in mind is that to create the garments in the book you need to print or draw your own patterns from the instructions. Included in the book, there is a picture for each pattern that you can photocopy and enlarge, this has a grid is printed behind the pieces and you are told the dimensions to scale to, so you can re-draw your pattern from that or if you have internet access you can download a PDF of the patterns to print out a page at a time and then stick them together ‘jigsaw style’. So there is what you call ‘Pattern development’ needed. No full size pre printed patterns are included in the book itself. The patterns in the book aren’t to size, you will need gridded paper or need to print LOTS of pages from a PDF. Excellent, this is a great sewing companion and if you are venturing into garment making for the first time, this and Alison’s other book The Sewing Book are great companions. A lot of valuable information in an easy to find format. Yes, highly recommended for anyone starting to make their own clothes. Since I already had Alison’s ‘The Sewing Book’, I had wondered if this book would be a waste, with too much duplication of information but it’s not and they work well together. Alison’s ‘The Sewing Book’ is a great reference book if you have a pattern in front of you and you know what technique you need to use and just want to be told how to do it but it doesn’t tell you what order to do things for constructing a complete garment, that is where this Dressmaking book comes into its own. Even if the thought of the extra work needed to create the patterns from the book overwhelms you, still buy this book as the information about how to construct garments and what order to do things is invaluable. It is a great book when you are new and need some hand holding while you get through the early stages of dressmaking for the first time. 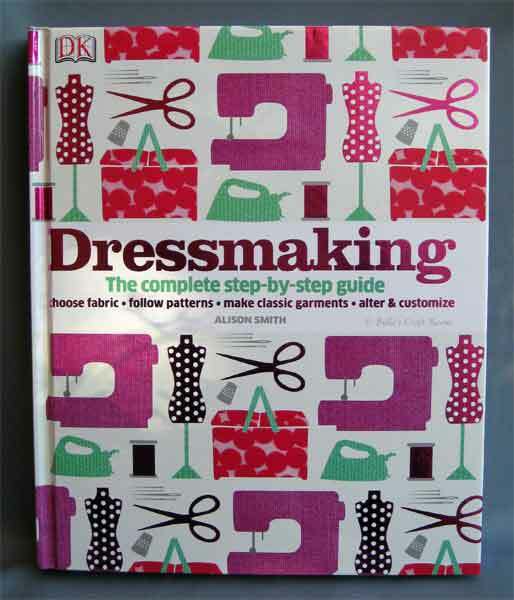 A very valuable companion to new dressmakers, I highly recommend this title. The Sewing Book, here is my review of Alison’s; The Sewing Book which I mentioned in this review. Book Review; Acrylic Solutions by Chris Cozen & Julie Prichard. 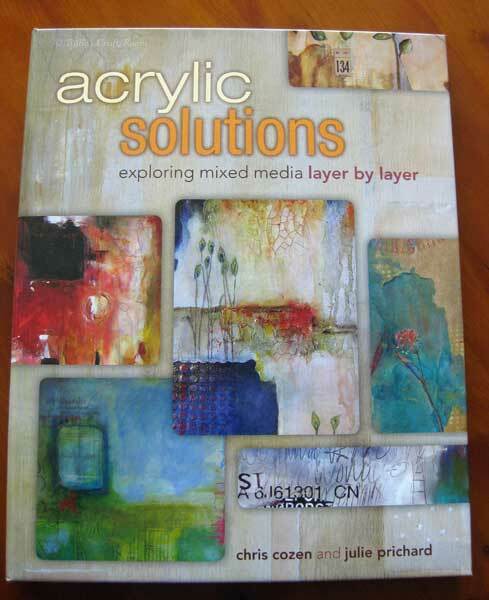 In today’s post I will be reviewing; Acrylic Solutions exploring mixed media layer by layer by Chris Cozen and Julie Prichard. Think of this as a jumping off point, you can duplicate their technique or take it in your own direction. A link to suppliers of materials used in the book would have been useful. Throughout the book Golden Products are referred to, yet as a number of people on Amazon have pointed out, these aren’t so easy to find outside the USA. There are links to Julie and Chris’s website in the book and from Chris’s site you can find a link to Golden’s site which will give you details of stockists. Yes, this is one of those must have books. I’ve enjoyed this book on so many levels. Its a great book just to look through and be inspired by the projects, if you want to try different gels/pastes but have no idea where to start or what they might do, it gives you great ideas for that. You don’t need to read it in the order that it’s written, find a section or technique that appeals and give it a go. There are so many books that promise the world and leave you feeling cheated, this is NOT one of those. It doesn’t claim to have all the answers but it does give you a great overview of lots of techniques that leave you full of ideas and rushing to your supplies. It took me a while to buy the book as having taken several of Julie’s classes I was worried that it would cover too much ground I’d already learnt. Yes I recognize excerpts from the classes but that’s no bad thing, it’s nice to have a recap and if the rest of the book is excerpts from some of their other classes I’ve not yet taken, then this has only fueled me to want to take more. If you have previous experience with acrylics and want to stretch your techniques and try new things, this book is for you. It could be used by a newbie to mixed media, especially if you are one of those ‘What if’ kind of artists and like to experiment with your materials to see what they can do. Yes, the book is biased toward Golden products and because they are ARTIST quality materials they are the higher price tag but its not unusual for any artist writing a book to quote you the materials that they use the most. I have used a good few of Golden’s products and can vouch for their quality. Fluid acrylics are fantastic and truly deserve the hype and price tag they ask for. If you like the book and wish it went further or deeper into the topics, check out Julie’s website as there are online classes available that go into even more detail. Golden This is the makers website from which you can find suppliers near you. Jackson’s Art Supplies UK Stockist of the full range of Golden products including the Fluid Acrylics. M Saltmarsh Great selection of Golden products and now fluid acrylics too. Wonderful traditional artist supplier on the high street. Shows you how to create patterns from your own body measurements, so if you are a little un, big un or a long tall sally you will still create a skirt that will fit you. Encouraging conversational style of writing. Really inspiring a good confidence booster for new sewers. Just a niggle, the only stumbling block I had with this book was finding large enough paper to draft patterns onto. I have now resolved this and will explain more later in the post. Excellent! 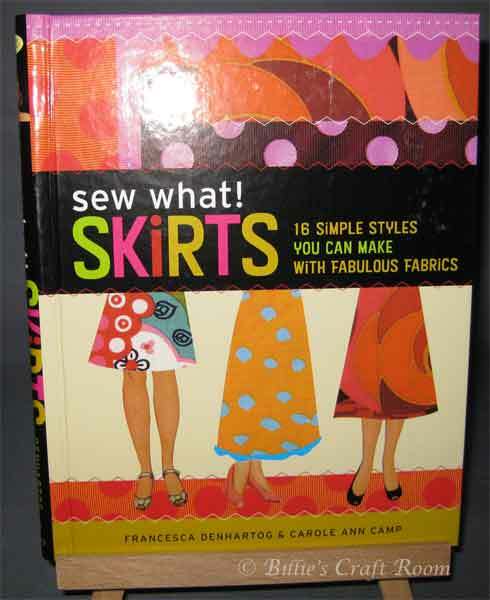 There are 16 styles of skirt in this book, more if you include how many tweaks you could make once you have the idea. The average commercial tissue pattern starts at about £6 so at £12.99 this book is fantastic value for money. Totally, this is one of my favorite books. When I bought this book I had recently bought a sewing machine and was keen to make things, anything in fact. I looked at commercial patterns and not only was I totally confused by all the new terms they used but the quality of the tissue used seemed very poor for the price charged. Also just like shop bought clothing, patterns are at fixed sizes, if you are inbetween sizes it means a lot of altering which when you are totally new is very intimidating and put me off. 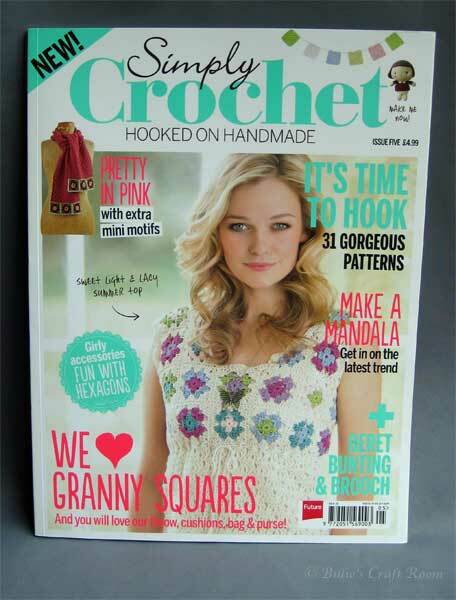 With this book its such a chatty style you feel very empowered and can’t wait to get sewing. Not constrained by what a commercial designer wants the length or flare of the skirt to be, with this you are the designer, you choose. Like they say in school its a good idea to read at least the first three chapters before you do anything. Its those chapters which explain how you will construct your skirt and lay out options. The skirts in the book build in complexity the later they are in the book but once you have made the first few you get the idea and the more difficult ones suddenly don’t look so hard. It took me a couple of years to start and actually have a go at making a skirt from this book for one reason only, I struggled to find suitable paper to draw the pattern onto. After joining a sewing forum I discovered the name of such paper and suppliers which I’ll add at the end of the review as being an American book the suppliers listed in the book are all from USA so shipping would be extreme. Now I’ve found paper to draw on and drafted a pattern on two I’ve had a lot of fun designing styles. I love the flexibility of the ideas shown in the book, if you are a ‘What if?’ kind of person you will love this book, if you are someone who wants to add their own twist to things you will love this book, if you are someone who falls in love with fabric but is boggled by commercial patterns you will love this book. Sew What Skirts, holds your hand while showing you around fabric, so you know which way up and round you want to lay it to cut out (commercial patterns all expect prior knowledge that we don’t all have!). The book shows you options for different fastenings, you don’t have to do zips if you don’t want to, but they are explained so you have the option. With this book, some paper and some fabric you design, draft and make your own in a weekend, much quicker if you are more experience sewer. Skirts are easy with this book, so if you can’t find what you like in the high street, have access to some fabric you do like and a sewing machine, grab some BIG paper and get sewing, you’ll be amazed at what you, yes you can achieve. This is a must have book, if you want to try but are too afraid just now. So now you have read the review you might like to get hold of the book for yourself, its on Amazon and here I’ll also explain where to get the all important paper you need to create your own bespoke patterns. Ok the one thing that I struggled with, with this book was finding paper large enough to draw a pattern onto. Not wanting a jig saw of sellotaped pieces, after joining a sewing forum I discovered what you need is called ‘Pattern Paper’ DOH I know it sounds obvious but you need something to start an online search with right?! This is pretty large but UN printed so no risk of getting you or you fabric covered in ink. Available from house moving suppliers and very in expensive for a huge thick pack about A2 ISH in size. You are likely to need to join sheets of this together but it is widely available. Swedish Tissue Paper; This is the posh stuff. you can draw your pattern onto it but also sew through it so if you want to partially construct your skirt on the paper you are drawing it on to to adjust the fit, this is an option. Its quite expensive and after a mention on The Great British Sewing Bee by Tilly its a swine to get hold of. Suppliers of the above paper. Auction sites I got mine through Ebay, the advantage is if you are deciding between different paper types you can get 5 – 10 m lengths to try at around £10 longer term if you find one you like, take the hit and buy a roll, its expensive at first around £60 but will last YEARS. Moorplan Dressmaking tool suppliers for when the bug really gets you or you want BIG rolls of pattern paper. A little off topic to get into this on this thread, but it was the only thing I struggled with, when trying to make skirts from Sew What skirts book. The answer does of course will depend on what you would like to create, but for general sewing, things like home-wares, gifts and to get you started with sewing with a machine, here are several excellent books that I use a lot and are ideal for newbies. There are links at the end of the article for the full reviews that I wrote about the titles mentioned, in earlier posts. Me and my sewing Machine by Kate Haxell. Kate’s book is for those who know they want to sew using a sewing machine, but need a good guide to what a machine can help you do and how to do it. This book holds your hand and shows you round the machine, it tells you about the different feet and what they each do and is also a good no-nonsense guide to essential techniques, for basic sewing. How to create different seams, and how to finish them create a really professional look for your projects. Zip insertion is also covered well is this book. Check out the link below for my earlier review. This is also a good book to look at, before you buy your first sewing machine. This one is perfect for newbies as it expects no prior knowledge. If you want to make a PE bag for the kids its in here, gifts suitable for friends family and little projects perfect for fetes are also included here. There are totes, tissue holders, little purses etc. Nice small achievable confidence building project for the new sewer. Another nice straight forward and inspiring book, also expecting little or no prior knowledge of sewing. As the intro to the book says ‘If you can thread your sewing machine and find the straight and zig zag stitches you can create the projects in this book. Sew What Skirts shows you how to take your own body measurements, to create a range of different skirts. Classic styles to get you going but when you have more experience, you can mix n match ideas from the various styles for different waist bands and fastenings, add pockets and trims to your heart’s content so you can really personalise the designs to your own look. If the thought of a commercial pattern confuses you and frightens you, (me too by the way!) This book is for you. THE must have sewing book. A wonderfully clear reference book of visual instructions for so many sewing techniques. Not the chatty style of the earlier books but definitely one to have on your bookshelf as it walks you through many techniques. I did buy a commercial pattern and couldn’t follow what I was meant to be doing. When I looked the technique up in Alison’s book, there were photos of the technique which made it much easier to see what I was meant to be doing. Not overly wordy, but definitely a keeper and excellent for visual learners. If you are trying to fathom the markings on commercial patterns they are covered here as are some basic alterations for patterns too. If you are more into home-wares and would like to make something timeless and elegant try this book. Its kind of Anna Griffin meets Tilda 😉 If you walk through John Lewis and the like and think ‘Ooh so nice’, but the prices are beyond your pocket try this book. From cushion covers to table decoration. You could take the ideas found in here in many different directions. For example there is an envelope shoe bag that with some alteration to the size and the addition of padding, would make a great e-reader/tablet cover/cozy. Lots of things in here for all ages and some would also make great gifts. Take the ideas as a starting point and add your own imagination, with different style fabrics you could change the look and feel to any style you like. The picture in the photo was from a library book with hard cover, when I bought the book it was a paperback and had a different cover but essentially all the same content. My other favorite sewing book is The Bag Making Bible by Lisa Lam. I love it but perhaps it doesn’t belong on books for beginners as although it covers many aspects of making bags, the techniques are for those with more experience. For complete newbies go with Sew what bags, if you have passed that stage and want to explore different fastenings, add pockets and zippers then Lisa’s book is a real must have. Hope you will check out the links below for my full reviews of the books I’ve mentioned. These books have been so helpful in my sewing journey. I was scared of sewing for so long, but with the help and encouragement of these books, and some help from forum buddies, my sewing is improving with every project. The following links take you to my full reviews of these books and to where you can buy them. My best advice is to grab some cheap fabric or old sheets that you can practice with before you try to make something in particular. Work out what stitches you like and how techniques work before making a finished project, that way you won’t have so much pressure and when you do make a project, have much better chance of making something you love and will use. I bought issue 4 as there was a free shawl pin on the cover (which I needed and liked) and liked the look of the projects. Enjoyed it so much I bought this issue without seeing much about it. Bearing in mind I am a total newbie to crochet. It would be handy if they had some information about how to read patterns, in their guides at the back. Its the one thing I haven’t found in there and have got a bit lost. Yes, haven’t subscribed as funds are tight BUT will keep a close eye on the magazines blog and as soon as new issues come out if there are projects in there I like I would buy again without hesitation. This is the first magazine (on any topic) that I have really enjoyed for ages. It feels loved, it has thought about what people like and has even had questionnaire’s in the first few issues so people could feed back on what they did and didn’t like about it. This magazine reminds me of Stampington publications. There is inspiration, a classy, classic feel rather than cheap and nasty look of some magazines which are very actually expensive. I like that the editions are un-sealed so you can see what you are getting for your fiver. Too many other publications are a blind date, you can’t see if there are things in there you would like to make as they are covered by free gifts or sealed so you have no idea what you are getting. The projects are like the magazine classy, classic and if you are a ‘new age vintage chic’ kinda person you are going to love this. I’d highly recommend getting a how too book to get you started but if like me you are in the early stages of the hobby, there are lots here to get you inspired and want to create. I particularly enjoy the fact that the little projects, like the smaller motifs and mandals and so on are things you would like to make, to have in your home. Other magazines ‘smaller’ projects can seem cheesy or just for the kiddies or the other extreme very large and complex projects. This looks like a keeper, some things I’ll be able to do now, and come back to the more involved things when my skills improve. Great job Future Publishing and thanks too for the blog which gives a heads up on the projects for the current and upcoming issue.